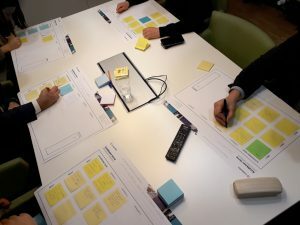 The objective of the event was to create an agile and engaging model that would involve the entire organisation in the strategy work and build an innovative culture into the daily life. The event was built around 9 different occasions that were implemented as a tour around Finland. Lindström’s personnel designed new products and services in the form of a hackathon and the best concepts were then voted on. The final winner was chosen in the lion’s den that included Lindström’s management, customers and product group managers. The event generated lots of enthusiasm at Lindström and new innovations were designed with positive energy. The best tool for affecting emotions are events. A well-organised event as a part of change management pays for itself in satisfied employees who will eventually lead to satisfied customers.